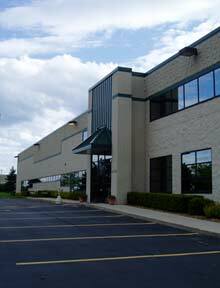 ...A warehousing, distribution, and transloading company serving industries around the world, with over a decade of reliable customer service, from our modern facilities in southeast Wisconsin. Those familiar with Badger Distribution are aware of our fine reputation as a warehouse distribution facility, continually striving for the utmost in service, efficiency, and reliability while handling your commodities. Despite our recognized high level of service, we elected to review and enhance our current product-handling procedures in detail following the September 11, 2001 attack on our nation. This comprehensive effort has resulted in standards unmatched within the industry. Among other products, Badger Distribution specializes in the storage and distribution of material within the nation's food industry. Protecting our nation's food source is a critical matter, and the staff at Badger Distribution recognizes the seriousness of its compliance within the food industry. Whether or not your commodity is food-grade, you can be assured that while at Badger Distribution, the integrity of your inventory will never be compromised. We would be proud to be an extension of your operations. Your comments and inspection of our facilities at any time are both welcomed and encouraged. All works copyright © 2005-2014 their respective owners.